Clouding of the lens of the eye that results in obscured vision. Symptoms and indications: A painless blurring of vision; glare, or light sensitivity; poor night vision; double vision in one eye; needing brighter light to read; and fading or yellowing of colors. Causes and risk factors: The exact cause is unkown. 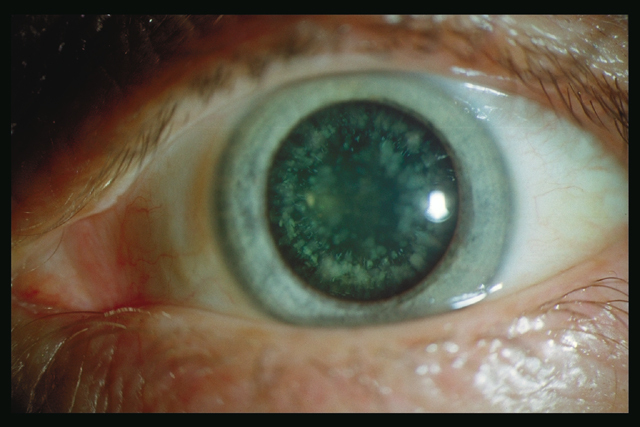 Aging, diabetes, glaucoma and detachment of the retina, injury to the lens, drugs, and high doses of radiation. Prevention: Protection from excessive sunlight may help slow the progression of cataracts. Sunglasses that screen out ultraviolet (UV) light rays or regular eyeglasses with a clear, anti-UV coating offer this protection.